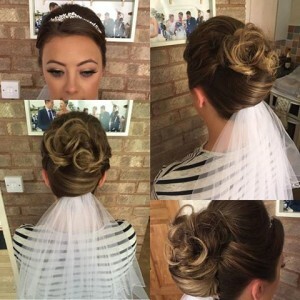 Saturday 21st May 2016, My day started early with Sarah coming over to the house for her hair and makeup as she was a guest at a wedding. She asked for a natural look and wanted a beach wave look for her hair. I used my favourite primer from urban decay to start with as I know it will make her eye makeup last all day. I used my NAKED3 makeup palette to give her a pretty pink shimmery eye look. I specialise in airbrushing so I prepped her skin with the TEMPTU airbase primer and mixed the foundations to achieve her skin tone. To finish her look off I used an illamasqua gloss which sets her makeup off perfectly. 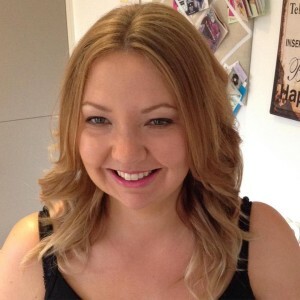 For her hair I used my GHD’s to create a textured wave look, I finished it off with a spray of VO5 dry texturising spray and of course good old elnett. 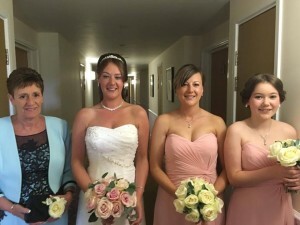 Shortly after I arrived at Wychwood Park in Crewe to do Nicola and her wedding party’s makeup. I was let into a little secret by the Mother of the Bride as she used a product called ‘instantly ageless’ It is amazing. I will be putting some of that into my kit for future makeups for Mother of the Bride & Groom. I hope the weather cleared up for Nicola and she had a beautiful day. Later in the afternoon I went to Rachel’s house to do her and her bridesmaid’s hair for Rachel’s evening Wedding reception. 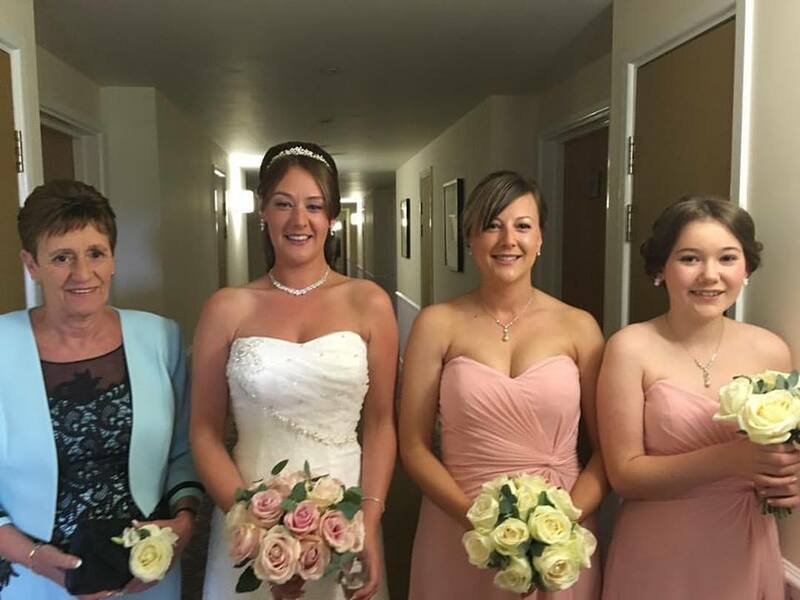 She got married in Cyprus last week so it was lovely looking through all of the pictures from her wedding day. Her husband was there as I was getting her ready which was a strange addition – I couldn’t get used to it! 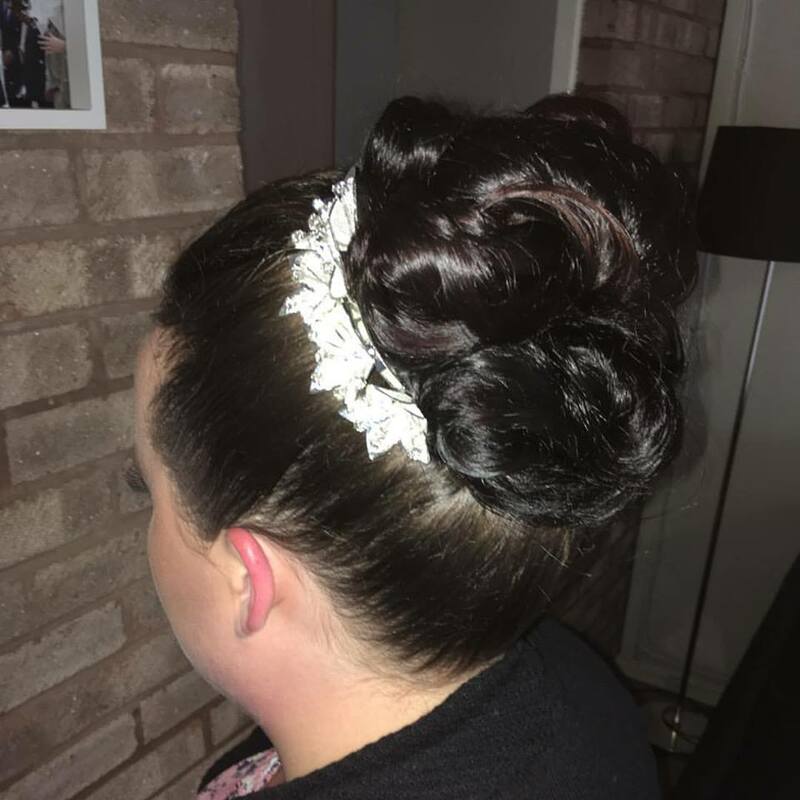 Rachel opted for a messy bridal pleat in her hair, I set her hair with rollers and dressed it out with lots of backcombing and grips! She said she counted 37 grips on her wedding night – I am sorry to say she probably had a few more than that in as I like to make sure it is secure, however I hide them well! Lauren has got the longest hair I have ever worked with and opted for a barrel curled updo for her bridesmaid hair. All in all a successful day, nice to do a few weddings as I have been busy doing trials for the last few weeks. I had the privilege on Sunday 22nd May to do my Sisters Hair and Makeup trial. She has gone for something slightly unusual and I can’t wait for you to see how gorgeous she will look. I managed to hold it together today but I’m sure Ill be welling up when I see everything together with her wedding dress. Cheers to all the gorgeous Brides & Congratulations!